Discover the Town of Palm Beach, where a longstanding reputation for a luxury world-class lifestyle awaits you, at the beginning of a resurging market. Today, the Town of Palm Beach luxury real estate market continues to attract unparalleled attention for its prestige, beauty and exclusivity. 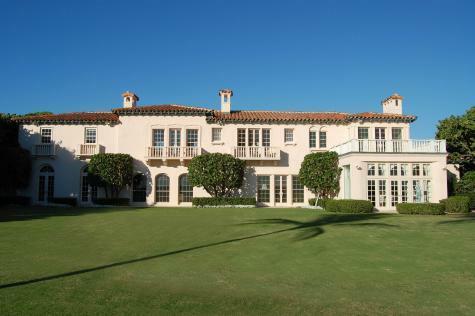 Palm Beach’s lavish properties with spacious and opulent mansions designed by architects like Mizner, Fatio, and Volk to charming villas, include historically significant estates that achieve an unprecedented level of excellence. You have a unique opportunity to acquire upscale oceanfront properties in a prestigious part of the island. Having an unmatched knowledge of the current real estate market, culture, traditions, and values of Palm Beach, Irina Sedelnikova, international luxury real estate consultant, has the connections and resources to ensure that your international property transaction is handled with the care it deserves. Ultimately, your luxury real estate property in Palm Beach will provide access to a way of life that is truly priceless. International buyers are turning to the U.S. to buy “trophy properties,” according to a recent Wall Street Journal blog which added that demand is so strong, leading real estate website Realtor.com plans to add features, including a translation service, to help the influx of international buyers find real estate. The latest report in 2011 from the National Association of Realtors (NAR) lists Florida as the #1 destination for international real estate buyers. That’s great news for you, and because we specialize in the International Market, you can count on us to help with both domestic buyers and the complexities of language, culture, currency, and legal issues that are common in international sales. Of the approximately $1.07 trillion in existing-home sales between March 2010 and March 2011, approximate $41 billion dollars-worth were purchased by foreign buyers.